Mike has been in the floral industry for more than 30 years and currently owns and operates Floral Artistry LLC in Lewiston, Idaho. As a Freelance designer he enjoys creating, sharing and teaching with some of the best designers in the world. For the past five years he has had the privilege of helping create the magic of The Rose Bowl Parade and creating floral displays at the Los Angeles County Fair. 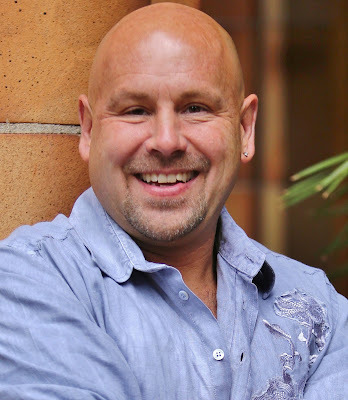 He has served as president of the NWAIFD chapter, the National Board of Directors for AIFD, the finance and career development committees, Also he was the stage manager for Symposium “Imagine” 2011, and was the lead designer for the lobby décor at “Caliente” in Miami 2012, and co-presented Gender Factor, a main stage program at Symposium in Chicago 20014. I started delivering flowers in the right before Easter my senior year of high school. I then joined the USMC. While attended college I continued as transportation director part time. One day the head (only) designer went on a walk about. The owner could not find any trained help. I offered to learn after hours if he was willing to teach. In addition to his excellent mentorship, I attended every education program at the wholesale houses that I could. I read and tried to duplicate the designs in every floral publication I could lay my hands on. That was the beginning of my floral design career. The first defining point that shaped me as a designer happened at a program in Spokane WA. at Spokane Community College. There were 3 designer presenting panel style. I remember one designer that could braid, twist and manipulate foliage into the most amazing geometrical shapes. His tropical creations were the most amazing things I had ever seen in person. I sat in the audience and visualized being on stage presenting floral art one day. I attended Phil Rulloda's advance class of floral design and with his encouragement I have realized that dream. He has since become a friend and mentor to this day. The second defining point quite simply was becoming AIFD. It is difficult for those outside the organization to understand the relationships that becomes more like family; people with the same passion for expressing beauty in the world through the expression of floral design. The third defining point was meeting and working with Jim Hynd AIFD. His guidance and leadership while working at the Fiesta Parade Float Co. for the Rose Bowl Parade and at the L.A. County Fair have helped me refine my design and management skills. The best advice I have been given was actually in 8th grade. A teacher told the class that if you find something that you are good at and that you enjoy doing, and someone is willing to pay you, then you will most likely find success. There are hundreds of men and women at the paper mill in our valley. The make a good living however, they hate their job and most likely live an unhappy life. Find your gift, then give it away. Do what you love!!! The advice I most often give someone looking at the floral industry as a career is …. are you crazy???? Seriously, if you want to work endless hours, spend 8 to15 hours on your feet, eat cold hamburgers, drink warm sodas, work most holidays and…. enjoy every second of everyday sharing the passion of human emotion, then this is the job is for you! I can think of no other more intrinsically rewarding occupation in the world. My design process is based entirely on emotion. I let the intrinsic nature of my gift guide my process. Stating that, conceptualization depends on the occasion. Weddings require me to see through the eyes of the bride. 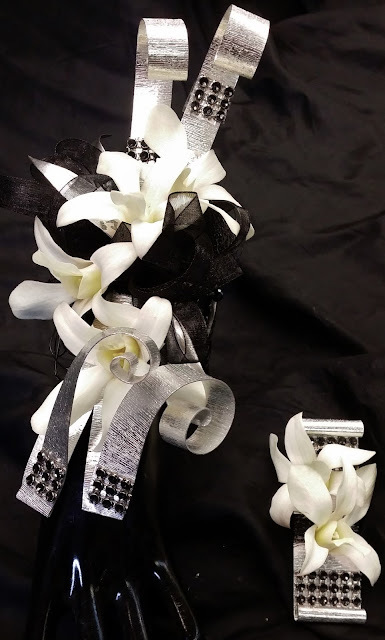 Sympathy designs require me to honor the deceased through the eyes of their loved ones left behind. I create the concept with the ideas and feeling of my clients, then add passion, creativity and artistry. I have several hobbies and interests outside the floral world that recharge my creativity. My first passion is karate. I am a 3rd degree black belt instructor, self-defense and MMA coach. I also officiate sports. I umpire ASA softball at the local, regional and national level. I just completed my 3rd national fast pitch tournament. I also referee high school basketball, football and softball. I stay current on all the new trends and techniques. 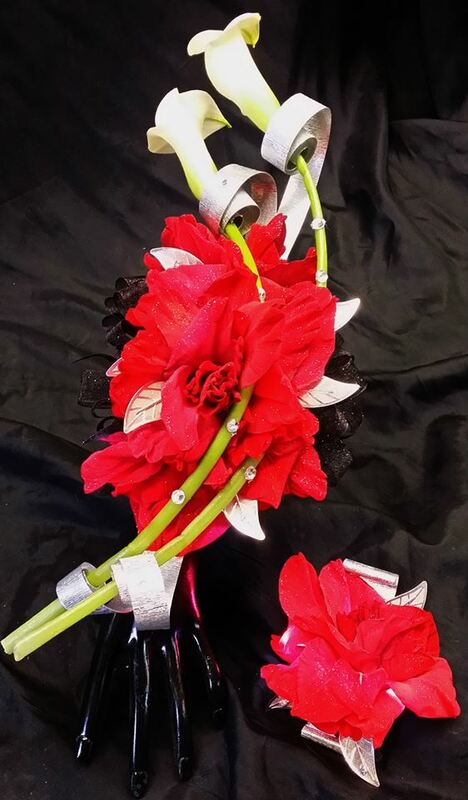 I always look for better more efficient ways of designing floral bouquets and flowers to wear. I think that a professional floral designer should consider his or her work as continuously evolving. I always look for new and creative ways to implement our design styles. 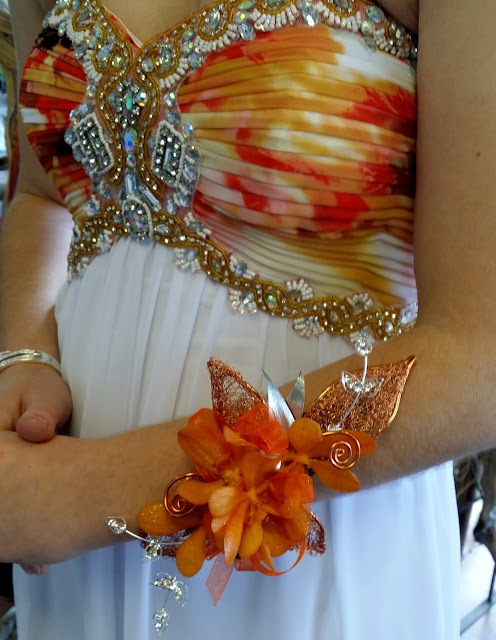 For example, I use cold glue to add flowers to most all my corsage work. We used to wire and tape everything. 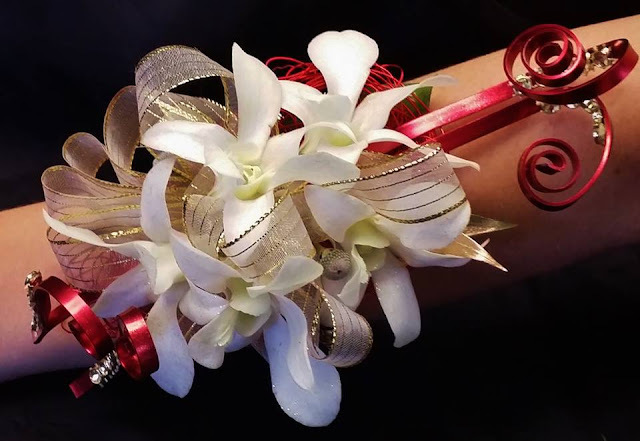 With all the choices our customers have I want Floral Artistry to be on the cutting edge, a leader in style and floral fashion. Education is the key. Attend seminars, workshops, AIFD National and Regional symposiums, go to programs at your local wholesaler, attend classes at one of the many AIFD education partners. There are many chances to continue growing….. I think that once one thinks he has learned everything, at that point he knows nothing. Locally at Floral Artistry we have had great success with the creation of floral jewelry and accessories not just corsages and boutonnieres. The more unique the better. 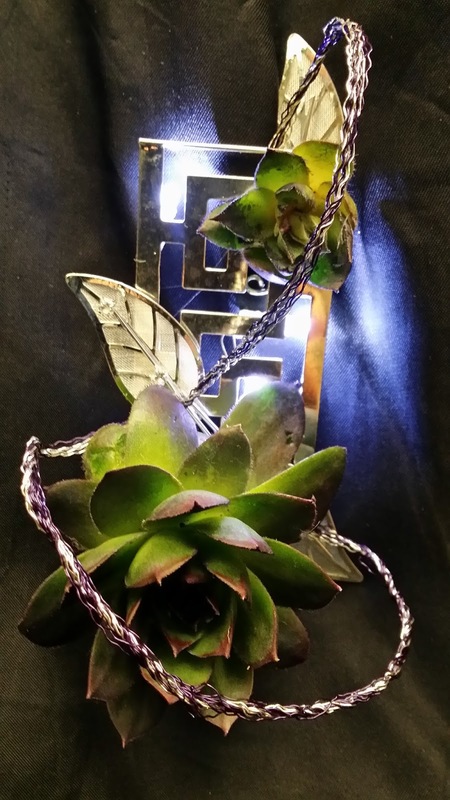 We have great success with all the Fitz Products from wristlets to sparkles and lights. Multiple items are on the prom/homecoming menu. We offer floral crowns and hair pieces to accessorize the dress. This is a hot trend!! P.S. To all the floral designers that read this…please burn all your underwear elastic wristlets. I discontinued them 6 years ago along with tulle, fake leaves and BB. Just my humble opinion no offense intended. Strive to stay current. 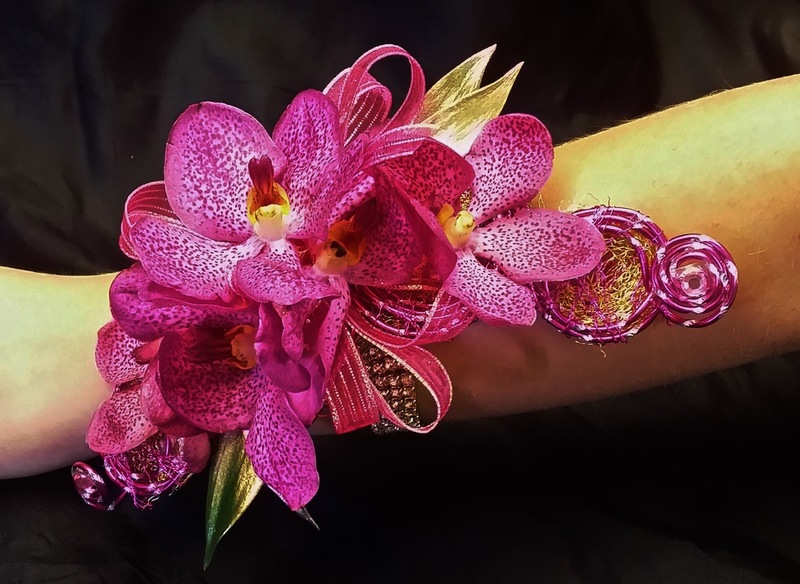 You do not wear the same clothes that you had 20+ years ago, so do not expect your clients to want the same old corsages that their mothers bought when they were in high school. One of the most common misconception that customers have about ordering their floral piece is that we just go into the back room and pull out a corsage like making a fast food hamburger. We need to help the consumer understand that each and every order is custom made and unique. It takes time, education, and creative talent. We are professionals, trust our advice on colors and styles. I think a common misconception a florist has about new customers is that they do not know very much about what they are looking for. The new generations is tech savvy. They are educated and on trend. Do not assume they want what their mom wanted. Do not assume they do not have money. 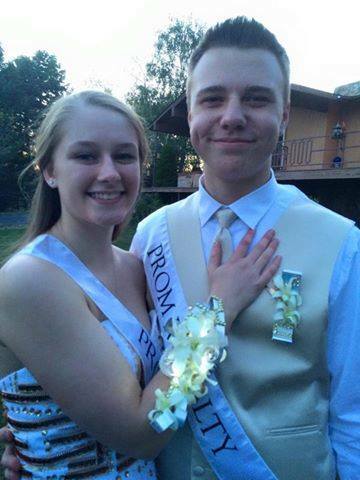 Teenagers spend over 3 billion dollars a year on prom/homecoming etc. Take your share by being visual on social media. Educate your shop on how to do this. Fitz offers free online webinars on how to improve your sales and design techniques. Take advantage of these opportunities. I like designing with color and texture so I like Floragene carnations, fuzzy green dianthus and hydrangea for basing. I also love the vast selection of orchids and gladiolus that are available on the market right now. Many thanks to Mike for being a part of the Designer Spotlight Series and sharing all his amazing designs! If you have a question or just want to say hello, please comment below.